127 members who were on the register at end of the season ranging from high 5s to U16s. 11 members who play both U16/14 and Seniors. 97 affiliations for Junior section. League entries in 17/18 were 10 – 2 U12s, 3 U13s, 3 U14s, 2 U16s. – U14 div A team won county cup and finished 4th regional. Not bad for a first in Regional for Juniors! – U16 B team runners up in div 2. Well done to all the coaches – Kirsty, Becky and Amy. Thank you to the other coaches and assistants in the club who covered training and matches – Zoe, Hannah P, Evie, Lidia, Rach, Sarah, Lorna and Ellen. Also thank you to Rob who has been an excellent team manager for Flames and a great support for Kirsty. Pre-season training was well attended, squad selections soon came around. Next season I think everyone needs to be a little bit more aware of this date, some people squeezed into teams when they probably should have started at the bottom. Challengers welcomed some new faces to training this season. The club voted to put out teams of 9, this has mostly been successful. Rockets started with 9, lost Jemma and Emme to injury, gained Courtney, lost Courtney and have pretty much carried on with a core 6 since Christmas. It became apparent that Flyers’ 9 were doing very well. Flyers gained Ellen from Jets, a very good addition to the team! Jets surprise promotion gave them something to think about as a new team, at least half of their games have been within 4 goals. They fought some tough games. Ellen was replaced with Amaya, a good injection of youth to the team and a big jump for her from Div 4 to Div 1 but she was well up for the challenge. Comets have been consistent from the start of the season. They lost 2 players (not sure if that’s a club record, to join, play 4 games, conceive and leave) but they then gained a shooter in Nadia. They have been unbeaten and have won every game comfortably by more than 9 goals. Stars had a great start to the season, suffered slightly when we took the height out of their circle but have really battled through some games. Div 4 is tough as the teams you play aren’t always consistent as multi team clubs moved players up and down. Stars have remained consistent throughout the season and have broken the half century three times, clocking up the highest score of 80. Flares have had a great season, their first game was Stars and that was always going to be tough, never mind for the first game out. They drew with Cheltenham Ladies and from there on have gone from strength to strength; there are some strong athletes in that team who are going to compete for places higher up next season. A much, much, more successful season in the Bateman and Per Ardua Cup competitions. Everyone went through the first round, much to Alia’s delight, she has to arrange all home fixtures and some clubs are less than accommodating. More work for Kirsty too as umpires are getting harder to source. Flyers, Comets and Flares got through to the semi’s, Flyers losing out by a goal or two to Cleeve, Flares and Comets winning theirs to end up in the final together. Comets won, Flares were very worthy runners up. Club aims were promotion for all teams; Rockets finished fourth, suffered to Team Bath teams. Flyers, well as a result of both Hucclecote teams and Randwick declining the offer for Regional 3 playoffs, Flyers were more than happy to compete. This will take place at UWE on 20th May. Jets, finishing mid table after being promoted last season. Comets were unbeaten in every game they played, winning the pre-season tournament, the league and Per Ardua Cup, success! Stars, finishing above mid table. Flares, promoted to Division 3 after coming runners up in Division 4 and runners up in the Per Ardua cup, success. Overall I’m proud of the successes we’ve had. I feel that if we’d had full availability throughout the season we could have been more successful. That’s the down side of having squads of 9 but a successful season nonetheless. 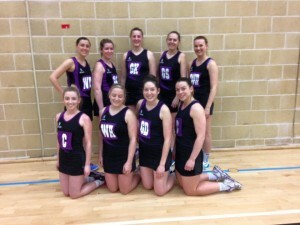 Massive congratulations to Flyers who come to of Div 1 and gain promotion to Prem next season. Rockets second R3 game, their first home game and the crowd grew gradually despite the (early) 11:30 start time. Two team members on the bench after injuries last week. A nervous start allowed Mavericks to take an early lead as we missed a couple of shots which they converted. Turnovers in defence allowed us to stay close as the first quarter finished with Challengers 2 goals down. We were consistent in scoring 8 goals per quarter, pressure in defence resulted i…n a couple of held balls and some well timed intercepts keeping the score within reach, half time 19-16, Q3 25-24, full time 35-32. A confident R3 debut for Paige Griffiths and Emme Hale at GD, audibly led by GK Viki Dean. A close finish and well earned 2 points. With more accuracy in the circle and better timing through court to allow us to give the first time ball we could have 5 points from this game next time. Squad: Viki Dean, Becca Everitt (c), Rachael Onions, Courtney Handley, Chloe Williams, Jemma Moore, Linzi Dyer, Isabel Powell, Paige Griffiths, Kate MacNamee(inj), Megan Walker(inj). Shooting: Izzy 13/24, Paige 13/16, Linzi 6/15. Thanks to Suzann for scoring and Kathy for helping with stats. Big thanks to Challengers supporters too. Rockets gave a strong performance at today’s regional tournament. The first game v team Bath demonstrated just how ready for this Rockets were as they turned the first centre and continued to turn ball in defence, score 8-7 to Bath. Next game up was Babylon who finished third in RL3 last season, final score 11-10 to them. RL2 teams Crossbow and Almondsbury were both close games, 14-8, 14-11 respectively. Mavericks 12-9 and the final game v Pinehurst, also RL2 was tantalising…ly close, losing by one goal in the final seconds. Some solid teamwork in all areas of the court proved that this team are ready for RL3, competing convincingly in every game. Izzy Powell at GS was calm and consistent in her Rockets debut, Emme Hale linking attack and defence effectively. Very proud of this team today, positive and strong. Challengers U16 Galaxy in their jackets very kindly sponsored by Neal Kelly of Andrews, Tewkesbury. Last season Galaxy took the Div 2 title and are hoping to take Div 1 by storm this year. 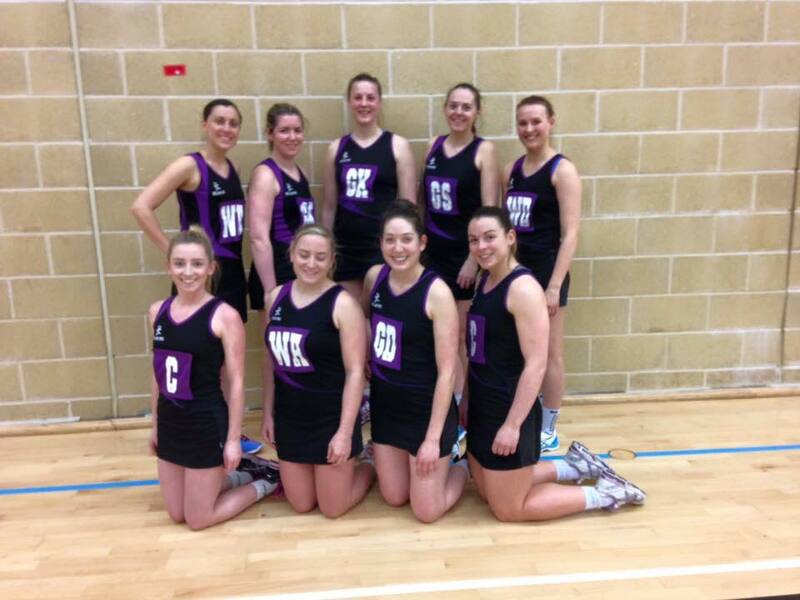 Rockets – promotion to Regional League 3! For those of you who didn’t see on facebook, Challengers Rockets have successfully been promoted to Regional 3 after winning the tournament in Bristol. They were undefeated and topped the group with 23 out of a possible 25 points. Well done to Kath and all the team. Special thanks also for Kirsty, Karen, Liz and Polly for their umpiring and coaching supporting. Final thanks to the supporters who came to watch. We definitely had the loudest crowd!! Challengers Rockets won the Bateman final, 39-33 against Hucclecote Hurricanes last night. A brilliant end to the season. Firstly well done on a fab season for our Junior section. Some great results this season, finishing with a high for our Juniors in their end of season tournament. Our U12s Flares and Rockets finished 4th & 3rd respectively. The U13s reached the semi-finals and the U14s winning the tournament. Our U16s reaching the semi’s. Well done to all who took part. Challengers have also had success with our senior teams. Rockets finishing 2nd in prem, making it to Regional play off’ s in May. This is following their win in the pre-season tournament and will be playing in the final of the Bateman cup this Thursday. Challengers Flyers, Jets and Comets all finishing third in the league and Stars will finish in the top two (one game to go). Well done to those Juniors who supported Comets and Stars in some of the matches this season.